There can be nothing more harrowing than losing one's passport in a foreign country. In case you do not speak the local language, communicating can be a challenge. But a travel insurance can be handy under such circumstances. A call to the emergency number would not only help you get a duplicate passport, but all the related expenses incurred is also taken care of by the insurer. Frequent travelers would know that misplacing or losing one's baggage in transit while taking multiple flights is very common. You may be in the best of shape, but you never know when you experience a health emergency, including injuries, for which immediate medical attention may be required. You must also know that most medical insurance policies availed in India are useless beyond the borders of the country. Therefore, medical cover is an essential part of your plans, and that's provided as part of the travel cover. 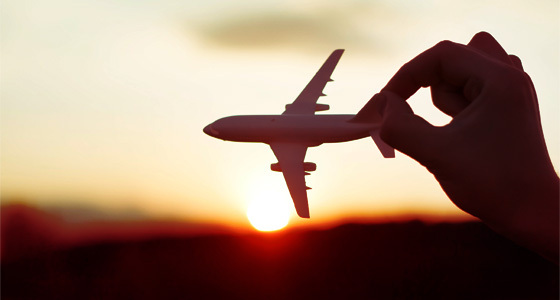 Travel insurance plans cover emergency medical and medical assistance as well as related transportation costs. Healthcare expenses in the West can be a serious setback if you are not supported by insurance. "In case of any medical emergency on your trip, your insurance plan would cover diagnostic tests, ambulance charges, in- and out-patient treatment, evacuation charges and travel costs to hospital. Most importantly, the plan could give you the facility of cashless hospitalization," says Mantri. Emergency dental treatment is provided as a part of such plans. Rajagopal G., Senior Vice President & Head of Operations & Claims, notes, "Disease, injury or illness must be disabling enough to reasonably cause a trip to be cancelled and supported by medical records. Reimbursement will be for the forfeited, non-refundable prepaid payments made by the insured prior to the illness that caused the cancellation." Cancellation compensation is also applicable when a trip is cancelled due to a terror attack, strikes and weather related events. Other than this, expenses incurred as a result of delays, interruptions or a missed fl ight is reimbursed. 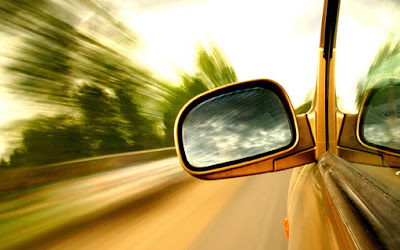 The option of emergency cash advances is yet another feature which comes handy when stranded. This may look like a frivolous point. But when stranded in an unknown location in a foreign land, access to 24x7 emergency helpline comes in handy to get guidance and directions in adverse circumstances. Therefore, it is always advisable to carry a copy of the insurance document while travelling. Rajagopal says, "Helpline team advices on nearest hospital or can help arrange for evacuation/ emergency services if required." Insurance companies in India are witnessing a massive increase in fraud claims. There are cartels of fraudsters in operation, who sometimes resort to threatening or physically abusing the field investigation officers. There have been many cases where the claim investigation officer has been either forced to give a clean statement or was offered bribes to approve the claim. Many insurance companies have reported instances of theft of customer database by fraudsters to make fake claims using forged documents. This is a serious offense that can lead to years of imprisonment if convicted. Several insurance companies in the US and Europe use a series of data analytics to identify transactions and processes that require a closer scrutiny. In India, the data analytics company Experian is now building a similar data repository and a fraud-monitoring framework in association with the Life Insurance Council of India. 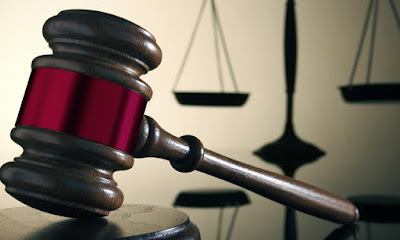 As per the recently passed Insurance Laws (Amendment) Bill 2015, an insurance policy cannot be challenged on any grounds in connection with the claim settlement after three years. This means, if the policy has been in force for three years, the insurance companies will have no choice but to pay the policyholder. Insurance companies object to this policy due to the increasing number of fraud cases. However, genuine claimants who were unable to get their claims cleared for reasons that looked suspicious to insurers can hope to get their claims without being branded scammers. This also helps claimants to save time by avoiding long claim disputes at courts. • Send the claim intimation to the insurance company as soon as possible. Any delay in communication can make the insurance company suspicious about the claimant. 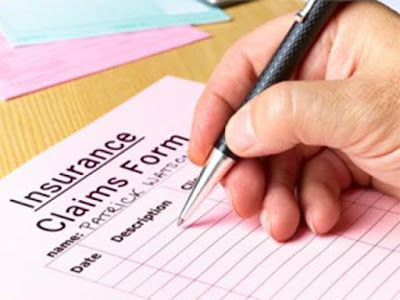 • Make sure that the claim intimation has all the relevant information including the name of policyholder, date, place, and cause of death, and any other pertinent information required by the insurance company. Hiding any information or sharing incomplete information can lead the company to feel insecure about your claim. • Attach supporting documents like hospital certificate, police FIR, post-mortem report, etc., if applicable, to make your case more genuine. • Ensure not to give wrong information or suppress lifestyle habits like drinking, smoking, etc., or pre-existing diseases while applying for insurance. Insurance claim frauds are on the rise and insurance companies are focusing their attention on eradicating this menace. Always file your claim in a clean and transparent manner to avoid your genuine claim being rejected. 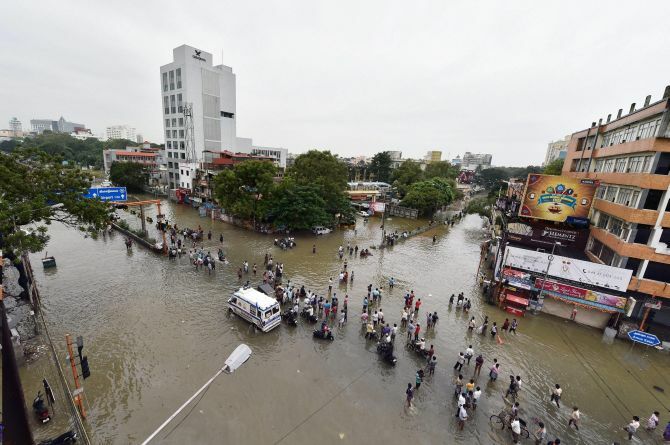 Insurance companies have received around 50,000 claims amounting to Rs 4,800 crore on account of the severe floods in Chennai that led to destruction of properties and claimed many human lives. While most of the claims have come from property, automobiles and small and medium enterprises (SME) sectors, this is the biggest insurance claim from a natural disaster in recent times, said the senior official of an insurance company. “Chennai floods will drive home the need for price correction in the light of repeated catastrophe events happening in the Indian market. There is not much industrialisation in Chennai city and most of industrial activities are happening in the peripheral limits outside Chennai, Cuddalore and Neyvelli districts besides Pondicherry UT,” said an official. Insurance companies suffered losses of over Rs 4,000 crore in two natural disasters — Jammu & Kashmir floods and cyclone Hudhud in Andhra Pradesh and Odisha — that wreaked havoc in 2014. While Jammu & Kashmir floods have led to insured losses of around Rs 1,500 crore, the losses due to Hudhud are estimated around Rs 2,500 crore. “All these claims were settled,” said an official. Flash floods in Uttarakhand took 5,500 lives and cyclone Phailin led to huge losses in 2013. When the cyclone Hudhud hit Andhra Pradesh, insured losses amounted to just 7.5 per cent of the total loss. J&K flood insured losses were just 6.5 per cent of the total loss. In comparison, the proportion of insured losses to overall losses was 52.5 per cent for winter damage in Japan in February 2014, 74 per cent for storm damage in USA in May, and 80 per cent for severe storm damage across western Europe in June 2014, says Prudential Insurance Brokers. According to a preliminary report by Swiss Re, the total economic losses from disasters is expected to reach $85 billion by the end of 2015. Of that total economic losses incurred, natural catastrophes have caused $ 74 billion in losses and man-made disasters, the remaining $11 billion. It says, approximately 26,000 people died in such events in 2015, double the amount from 2014. Meanwhile, the insured losses from such events was estimated at $ 32 billion in 2015 from $ 35 billion in 2014. The number of customer complaints against health insurers, the second-largest portfolio in the Rs 87,000-cr non-life insurance industry, went up by 2 per cent to 25,600 in fiscal 2015 over the previous year. According to data from General Insurance Council around 11,000 or 44 per cent complaints registered in 2014-15 were related to claim settlement, up from about 10,000 complaints in 2013-14. The health segment commands 25 per cent of the non-life insurance business. In policy terms, 7,000 or 29 per cent complaints were registered in 2014-15 as against 6,000 or 26 per cent complaints in the year-ago, the data showed. In health insurance, the number of complaints have gone up mainly because of the lack of understanding among the insured about the policies issued to them,” General Insurance Council Secretary General R Chandrasekaran told PTI. Health insurance grew by about 40 per cent in case of standalone health insurers, whereas the general insurers have grown by 25-30 per cent during last one year, he said. The industry witnessed decline in the absolute number of complaints reported during the year under motor insurance segment, which is the largest portfolio for the insurers with around 40 per cent share of the industry. Moreover, the industry saw a fall in complaints, as the number of claims handled under the segment during the year also declined. In 2014-15, the total number of policies stood at 12.60 crore, while in 2013-14, it was around 11.50 crore. But the number of complaints remained same in terms of percentage. Similarly, the percentage of claims settled under motor insurance also fell from 0.14 per cent in 2013-14 to 0.10 per cent in 2014-15. At 24,647 in FY15, it showed a 30 per cent fall from about 28,000 previous year, in terms of the number of complaints received by the industry during the year. In the segment, 47 per cent or 11,611 complaints are claim-related, while 33 per cent or 8,000 complaints are policy-related. Insurance Regulatory and Development Authority of India (Irdai) and insurers are focussing on long-term and systematic protection-based plans. The regulator has more than doubled the number of approvals given for such products. There has been more than 160 per cent rise in the number of protection-based products and riders in the industry approved by Irdai in calendar year 2015. Irdai approved about 97 protection-based plans/riders in 2015, compared with 37 protection-based plans/riders a year ago. Sandeep Batra, executive director, ICICI Prudential Life Insurance said the industry needs to do more in the protection-based space. “However, there is good news as there is a three-fold increase in the number of protection products approved by Irdai in the year 2015,” he said. In 2015, about 215 products were approved, compared with 137 in 2014 by the Irdai. Protection-based plans provide full safeguard and financial stability to the subscriber’s family in case of unforeseen events like death. 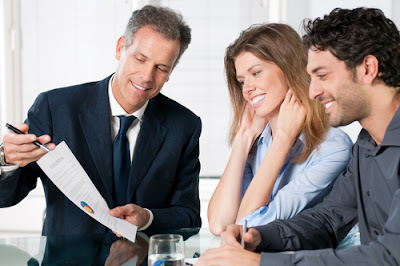 These include pure term insurance plans which are usually low-cost in nature. Clarence Wong, head of economic research and consulting, Asia Pacific, Swiss Re had earlier said while there was an increase in insurance coverage in India, it has not been adequate to fill the protection gap — the extent to which families were insufficiently covered for death of their earning members. The study said the sum insured per working person with dependents in India was $2101 in 2014 (about Rs 1.3 lakh), which is much lower than other APAC countries like Australia, which has a sum insured of $303,401 per working person with dependents. 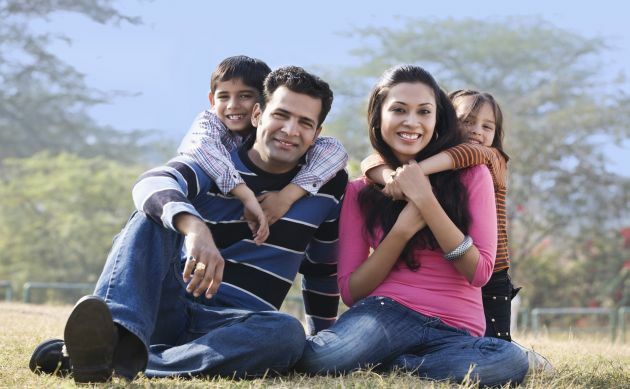 For a typical Indian household, for every $100 needed for protection, only $7.8 of savings and insurance is in place. Anup Rau, CEO, Reliance Life said there has been an emphasis on selling protection-based plans. Rau explained that ever since the focus has shifted away from unit-linked insurance plans, regulations were tightened in September 2010, insurers have turned to long-term and systematic protection-based plans. Protection-based plans are now close to half of the total products available in the life insurance segment. Compared to 27 per cent in 2014, they now comprise 45 per cent of total life insurance offerings. Batra said customers need to understand that they should at least have an insurance cover that is 10 times their annual income, just to sustain their current lifestyle. “We are grossly under-insured. Hence, we as an industry are working to bridge the protection gap. As a company too, we recently launched iProtect Smart, to bridge this gap,” he said. Insurance penetration, measured as a percentage of premiums to a country’s gross domestic product (GDP), has been on a constant drop in India. According to the latest study from global reinsurer Swiss Re, India’s insurance penetration fell to 3.3 per cent in FY15, compared to 3.9 per cent in FY14. How will 2016 be different for the policyholder? The life insurance industry, which has seen some tough times during the last few years, is expected to grow 10-15% in the current fiscal. A stable government and clear indications of expediting reforms have laid the foundation for India to regain the growth momentum, and the insurance industry is expected to benefit from the same. The sector has already witnessed green shoots of improvement in terms of higher consumer awareness and trust/transparency, launch of innovative products and distribution channels, and a heightened focus on need based selling and customer centricity. For the industry to further unlock its potential, concerted action is required from all stakeholders. One of the key themes this year for the Indian life insurance industry will be customer retention and this will be possible only if we match our customers' wavelength. Insurers are making significant efforts to create long term value for its policyholders and making things simple for them to understand. Here are a few things policyholders can expect in 2016. 1. Managing policies at their fingertips: Electronic insurance accounts are gaining popularity because they offer a convenient way to store all policies through one account even if they are from different insurers. Policyholders can access it anytime, anywhere and also change contact details for all their policies in one go. Furthermore no KYC documents will be required for new life insurance policies if your KYC is updated in your e-insurance account. 2. Your agents will be more empowered to service you better: Agents play a key role in servicing their customers and delighting them. Insurance companies are now pro-actively sharing more information and clarity about your policy so that you remain updated about your renewal premiums, your life cover, your account value to name a few. The agents will be equipped to offer you digital solutions and guide you towards placing your basic policy servicing requests like change in nominee or ask for a partial withdrawal of the fund etc. 3. Connect with your insurer through social media: Policyholders can follow their insurers on social networking sites like facebook, twitter and engage with them in a more informal way, and get updates on new productoffers. Policyholders can also let their insurers know about any changes so that you are presented with a relevant product. 4. Seamless interactions through the customer portal and mobile apps: Customer portals and apps have been in existence for a while but the policyholder interactions using these tools is witnessing a change and policyholders are now able to self-manage their insurance policies. The gap between insurers and the policyholders is decreasing. 5. Simplified claims experience: Insurers are looking at new ways to respond to claims faster. Some companies are using a dedicated claims handler, online claims intimation and other methods to simplify and improve the claims experience. Life insurance is a business in which both, the customer and the company derive financial value only by staying invested in the relationship over a long period of time.The customers today expect the same ease, accessibility, control and experience from their insurers as they do from other online retail sites. It is therefore important to effectively use technology to sharpen productivity and customer responsiveness. This will not only focus on greater automation to reducecosts and faster delivery, but also leverage on digital developments to spur greater innovation and differentiation. The future looks promising for the life insurance industry,and new strategies and solutions will lead to further changes in the way the industry conducts its business and engages with it's customers. The Telangana government today started the recognition of ‘e-Motor Insurance policies’ in the state, in collaboration with the Insurance Regulatory and Development Authority of India and the Insurance Information Bureau of India (IIB). These policies can be issued online across the country, thus paving the way for a host of benefits like faster issuance, removal of fraud, higher customer satisfaction, elimination of revenue leakages, analytics and so on,” it said. The e-motor insurance policy would be issued in a digital format, which can be seen in any smartphone. Telangana is the first state in the country to formally recognize electronic motor insurance policies. This measure is likely to add to the citizens’ convenience and also improve the compliance levels of motor insurance,” the statement said.